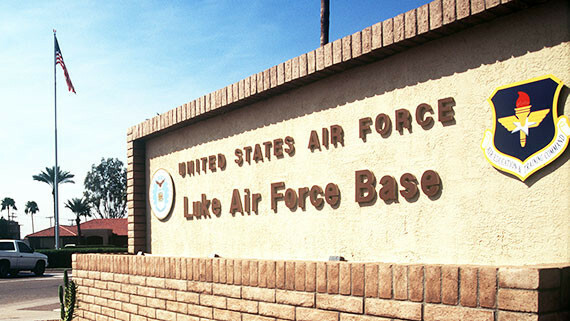 Luke Air Force Base is located in Glendale, Arizona. 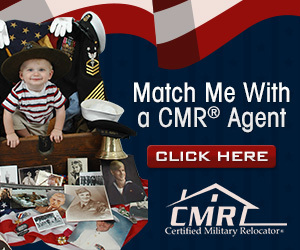 The local area is very supportive of the military. 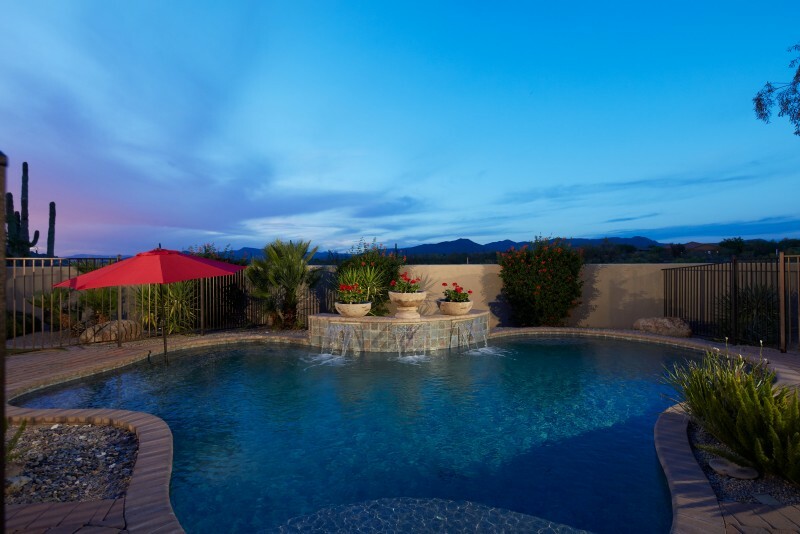 Located in the Valley of the Sun, individuals stationed at Luke Air Force Base enjoy a dry, moderate climate that is the envy of many, particularly in the winter. 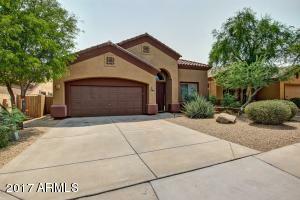 The west valley area of Maricopa County where Luke Air Force Base is located is a fast growing area. If you were here just a few years ago, you will be surprised by the development. If you haven't been here previously, you will be surprised by the newness of almost everything. Luke Air Force Base is named for the first aviator to be awarded the Medal of Honor - 2nd Lt Frank Luke Jr. Luke's 56th Fighter Wing was first activated on January 15, 1941, as the 56th Pursuit Group. The 56th left for England January 6, 1943. During the following two years, pilots of the 56th destroyed more enemy planes and listed more aces than any other Army Air Force group in the 8th Air Force, including the top two aces in Europe. The combat and support operations of the wing in Southeast Asia were numerous and varied. The 56th was reassigned to Luke Air Force Base on April 1, 1994. For further history visit Luke'shomepage. "Train the world's greatest F-16 fighter pilots while deploying mission-ready warfighters". As part of Air Education and Training Command, and home to 23 squadrons and both F-16 and F-35A Lightning II aircraft, the 56th graduates more than 400 F-16 pilots and 300 air control professionals annually. The wing is also responsible for three additional squadrons under the 54th Fighter Group located at Holloman AFB, New Mexico, where F-16 training will move as Luke AFB transitions to become the sole pilot training center for the F-35A, the Air Force's newest multi-role aircraft. Additionally, the 56th Fighter Wing oversees the Gila Bend Air Force Auxiliary Field and is steward of the Barry M. Goldwater Range, a military training range spanning more than 1.7 million acres of Sonoran desert. Take the Litchfield Road Exit #128 and turn left (north). Take the Litchfield Road Exit #128 and turn right (north). The base is approximately 5 miles north of the I-10 exit. Continue south on I-17 to I-10 west, turn right (north) at Exit #128, Litchfield Road, travel 5 miles north to Luke AFB. From I-17 take I-10 west toward Los Angeles, exit at #128 Litchfield Road. Turn right (north) and travel 5 miles to Luke AFB. From US 60, look for Litchfield Road approximately 15 miles east of Wittman. Turn right (south) on Litchfield Road and continue 7 miles to Luke AFB.